Espresso shots and lattes: they’re from two near-opposite sides of the espresso-based coffee spectrum. But what exactly makes them so different? Wonder no more, coffee lover. We broke down how each of these drinks is made, what separates them, and which one you should order to suit your taste. with espresso. Both of these drinks begin with a nice, rich base of espresso. With a shot, you simply stop there. With a latte you proceed into a delicate world of steamed milk, foam, and artwork. Brewing that perfect base usually means using an espresso machine, which can require various levels of human involvement ranging from one-step-above-manual to “There Will Come Soft Rains” by Ray Bradbury. There are even latte machines specifically designed to make lattes and other specialty drinks (though they can be a little gimmicky). Espresso machines originated in Italy and became wildly popular as coffee addicts latched onto the strong, rich beverage that they produce. Eventually they spread to the states and other parts of the world as more people recognized the beauty of a good espresso. Most espresso machines work in a similar manner, combining physics and precision to give you a great pull. First, a steam chamber boils water, which rises into a group head that gathers and pressurizes the steam. A pressure plate then forces the steam to become hot water and pushes it through a tightly packed puck of finely ground coffee. After the espresso passes through a filter, it arrives in your glass, usually with a lovely layer of crema on top. The beans used for espresso are typically very fine grind long-roasted Arabica beans. The roasting is extended to get the oils to the bean surface, and they’re Arabica for the sake of flavor and overall quality. However, it’s interesting to note that Robusta beans produce more of the coveted crema. So make sure that’s not the only thing you’re looking for in your espresso. Crema is the result of a couple chemical reactions that occur during the espresso brewing process, involving pH and coffee oils. The foam-like substance is tan to brown in color with small bubbles. It’s flavor (if you can taste it) tends to be slightly acidic (due to the carbon dioxide and increased pH). The crema itself does not impact the flavor of the drink, but it’s presence generally indicates that your barista used fresh beans. For that reason, it is usually taken (sometimes mistakenly) as a symbol of high-quality espresso. But if there is too much of it, that can mean the barista used lower-quality beans. The word latte derives from the Italian phrase meaning milk coffee. Variations of the drink have been a delightful staple of breakfast spreads since the mid-1880s. That means brewers and baristas have perfected this specialty drink for over a century, and it shows. Making a latte begins the same way making an espresso; that is with espresso. 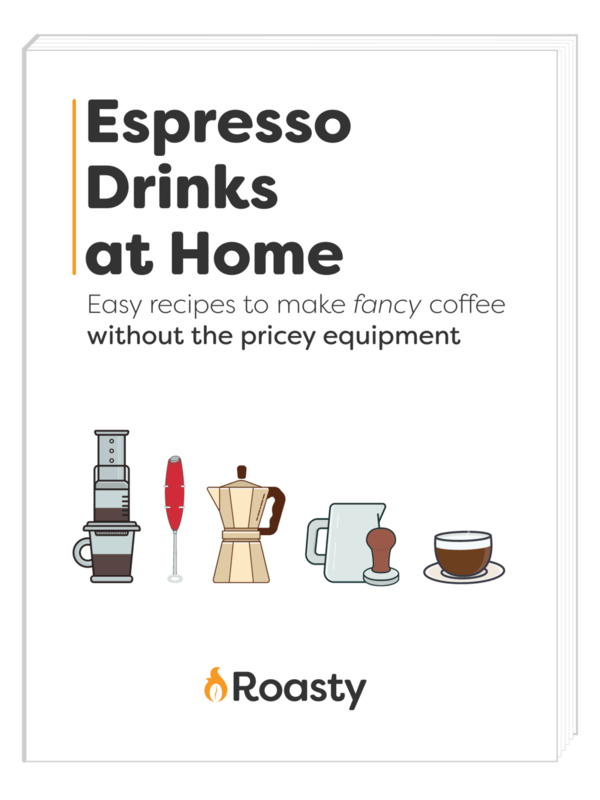 That means you typically need to use an espresso or latte machine, though it is possible to make a latte without a machine. The base of this drink is 1-2 shots of espresso. Then, 5-6 oz of steamed milk is poured in a precise circular motion over the espresso. This allows the two to incorporate (mix together) producing a velvety smooth drink. To finish it off, you fill the last 1/6 of the 8 oz cup with a thin layer of milk foam leftover from the steaming/frothing process. After incorporating the steamed milk into the espresso, the barista moves onto the thin layer of foam. But, this step is not as simple as it seems. While the incorporation step is arguably more important to the drink because it affects the texture of the drink, another mark of a good barista is the way he or she pours the foam on top. Many talented baristas use this last step to create beautiful latte art on the top of your drink. 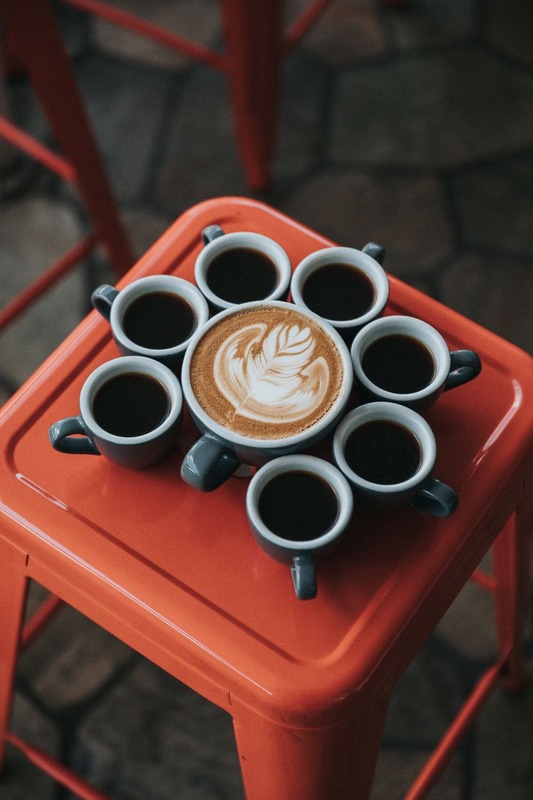 While one can quickly pick up on how to create latte leaves and hearts, some baristas go all out and create works of art on top of your coffee. This isn’t absolutely necessary for a good latte, but it does enhance the drinking experience and shows that a barista cares about the coffee craft. The main difference in these drinks is the addition of milk products. If you add milk to an espresso, it is no longer an espresso; it becomes a new drink entirely. However, if straight espresso is too bitter for you, you can add a bit of sugar to sweeten it. That said, we wouldn’t recommend adding much more, lest you mask the distinct espresso flavor. With a latte, you will get a more creamy, milky flavor and the espresso taste tends to be rather muted. That is because the drink is mostly steamed milk. For this reason, people often put other flavors in their lattes using syrups or other coffee add-ons. So the bottom line is, if you are looking for an intense, rich coffee flavor, you should try ordering an espresso. If you are looking for something creamy, flavored, or sugary without much of a coffee-kick, taste-test some different lattes until you find one that suits you. Whether you're already established or just starting out, you have to get an espresso machine that suits your needs. If you're having trouble choosing the right machine, read our reviews on the best commercial espresso machines.